Casinos can be overwhelming. Not just land-based casinos like Planet Hollywood in Vegas. But online casinos like CoolCat Casino, too. We admit it. We’ve got over 220 casino games. We have got a long casino games list with table games like blackjack, roulette and craps. for the newbie online casino games player would be useful an online casino guide. Roulette – bet on a number, color or evens and odds, spin the wheel, wait for the ball to fall. 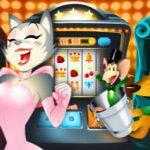 Slots – insert coins, bet, press spin. Keno – pick a number, any number, 15 in all, wait for your numbers to be called. Casino War – high card wins. Blackjack – beat the dealer. Get 21 or as close as possible without going over. So how do you know where to start? How about right here? We’ve put together a list of the five easiest casino games to learn. If you’re new to playing at an online casino, this is a must-read. On the surface, roulette looks a bit complex. There are tons of numbers, a wheel that’s constantly spinning, people betting all over the place, and so many other things going on. It can definitely be confusing, but it’s anything but. If you can flip a coin, you can play roulette. It’s actually really easy. You bet on a number, color, or evens and odds. If your number comes up, you win. We recommend sticking with betting on colors or evens/odds to start. You’ll get paid 1:1 (bet $10, win $10) while you learn whether the more complex bets are worth it. All those spinning reels and crazy lights can be pretty confusing. But slot machines, especially online video slot machines, don’t have to be so confusing. The basics are really easy. You drop in some money, press Spin, and wait for your symbols to line up. You might think it’s really difficult to play online slot machines because there’s way more going on than at old-school 3-cherry machines. But the truth is the extra reels and paylines mean more ways to win for you. Pick a number, any number. Actually pick 15 of them. And then wait for the house to draw 20 numbers. If a certain number of your picks come up, you win. Seriously. It’s like playing the lottery, only you don’t have to wait forever for the big draw. And your odds of winning something are way better than any state-run lottery. Yeah, we’re totally serious. You can actually play casino war in Vegas and at many online casinos. It’s you against the dealer. High card takes it. A tie means you go to war where, once again, high card wins. It’s lots of fun. And it’s ridiculously easy to play and learn. There’s literally no learning curve, even if you’ve never played an online casino game before in your life. You know why online blackjack is so popular? Because people win a lot playing it. And it’s one of the easiest casino games you can find. Just place your bet and figure out how to play your 2-card hand against the dealer’s 2-card hand where just one card is showing. Your goal is to get as close to 21 without going over. If you can manage that, and if your hand is higher than the dealer’s hand, you win. Want to try out these five easy casino games for free? 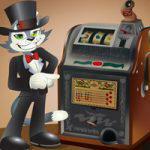 CoolCat Casino offers tons of free casino games. All you need is the CoolCat software and a free account. Click on “Download App” in the signup form and see how fun and easy casino games really can be.